The White Elephant and Lilly Pulitzer have teamed up to create something special... the Lilly Pulitzer Cottage at the White Elephant! The newest addition to the White Elephant, a charming cottage full of life, patterns and color - every Lilly lover's dream! 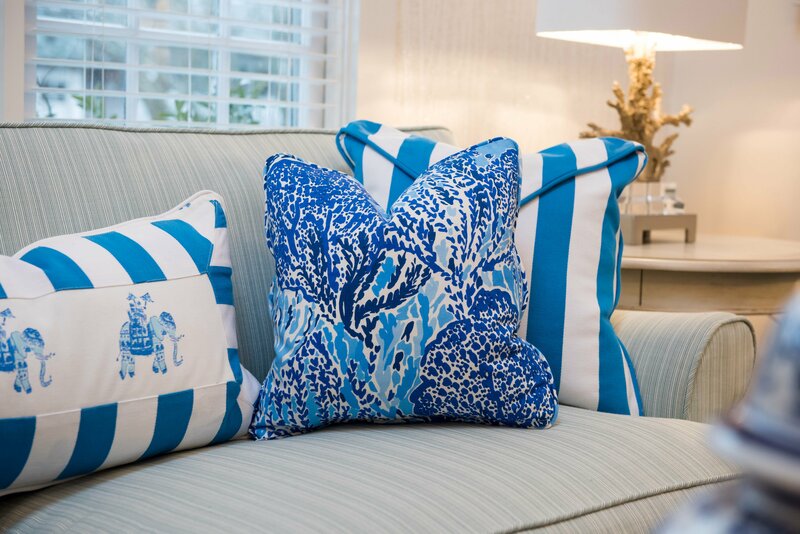 Inspired by both brands’ affinity for the sun and sea, the Lilly Pulitzer Design Team developed a relaxed and playful interior that features soft, neutral tones and textured materials that embrace White Elephant’s coastal charm. 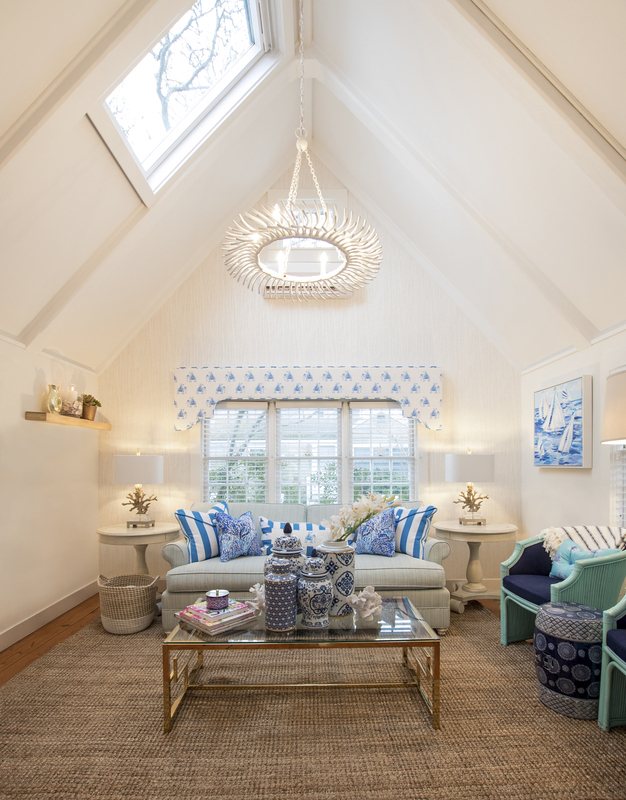 The redesigned cottage features a new blue and white color scheme accented by touches of gold and Lilly Pulitzer's signature hint of Palm Beach aesthetic. The feature wall in the Lilly Pulitzer Cottage is none other than wallpaper with...sparkles! Yes, you read that correctly, sparkles; softly creating a lively accent - who doesn't love a little sparkle in their life?! In addition to the feature wall, you'll find blue and white-striped throw pillows and a water color sailboat painting, all adding to the cottage's nautical locale. An elephant-printed window valance hangs in the living area - a wink to White Elephant, as well as one of Lilly's signature hand-painted prints, Joy Ride. 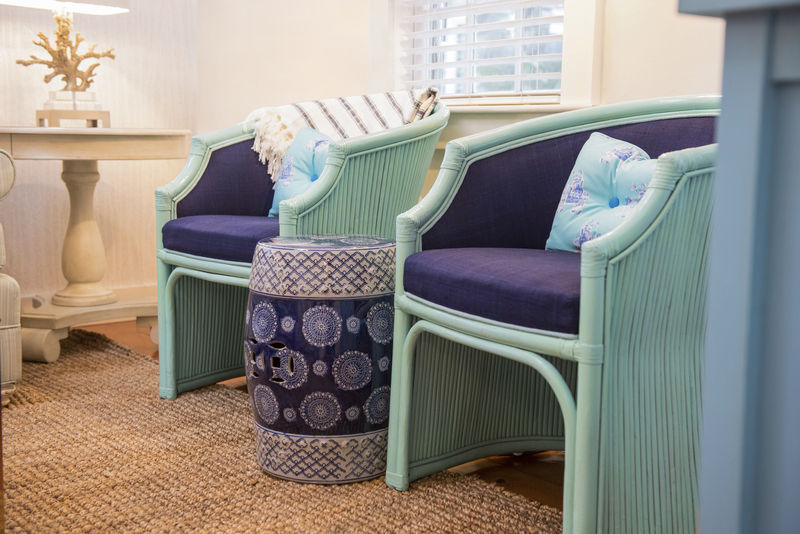 With the redesign of the one-bedroom cottage comes new decorative accents such as woven baskets, hand-shelled mirrors, original framed artwork by a Lilly print artist, and a variety of ceramic trays and candles all in signature Lilly Pulitzer prints. Rest assured, you will rest well here. After a day at the beach, come back to the cottage and relax in the unique living space before falling asleep in Pratesi linens on the Lilly-accented king-size bed. 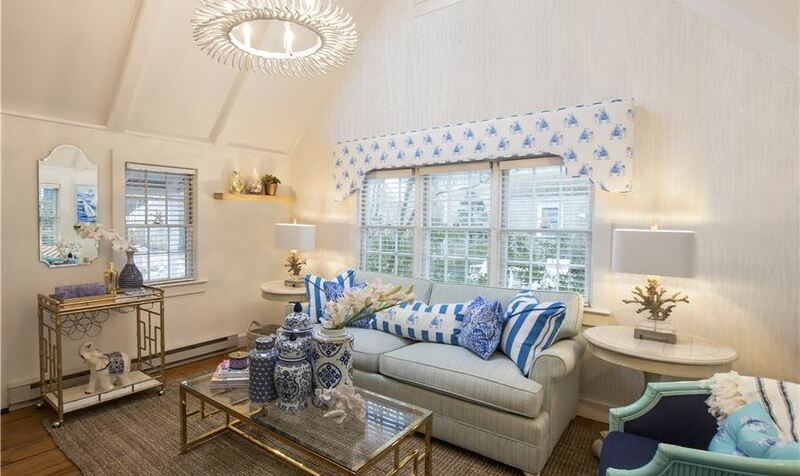 With a full-size pullout sofa, the Lilly Pulitzer Cottage will comfortably sleep three people. As guests of the cottage, you'll receive your own Lilly Pulitzer Beach Tote in a limited-edition Nantucket print as a keepsake from your stay. 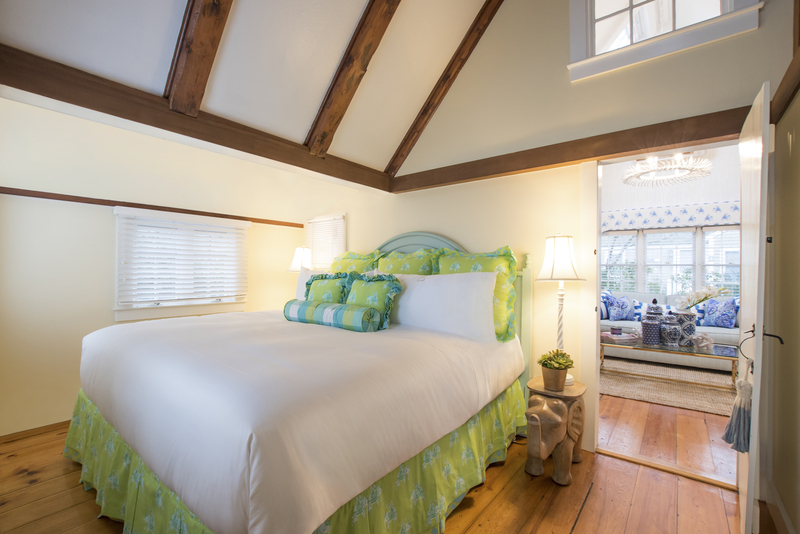 Whether it's a girl's weekend, a romantic stay or just because, the Lilly Pulitzer Cottage is perfect for any getaway!